In a recent press release, SpineCraft announced the launch of the PANORAMA retractor for minimally invasive spine surgery. The patent-pending design includes a window that allows increased instrument angulation and versatility and expands the surgeon’s ability to access the entire disc space including difficult to reach contralateral locations. PANORAMA opens the confines of a traditional cylindrical tube improving the efficiency and effectiveness intervertebral discectomy and endplate preparation for fusion and allows more controlled and precise implant positioning. I began using the SpineCraft PANORAMA retractor for my minimally invasive TLIF procedures and I have found that the retractor window frees my instruments so I can now reach the entire disc space including difficult to access contralateral anatomy. 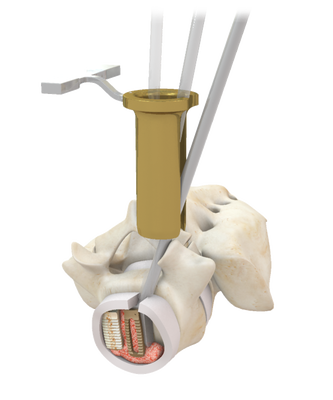 With the launch of PANORAMA, SpineCraft continues to expand its minimally invasive spine portfolio with innovative and functional systems that benefit the surgeon and the patients they treat. SpineCraft is a privately held US medical device company offering a wide range of products for addressing spinal deformities & complex spine problems, minimally invasive spine surgery, cervical & thoracolumbar degenerative conditions and non-fusion applications.